Hi! My name is Tiana. 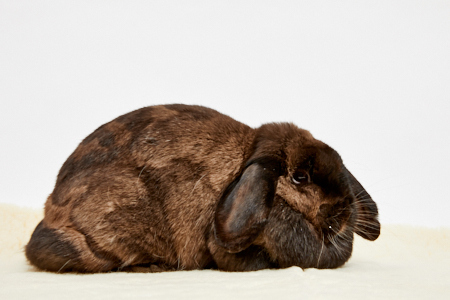 I’m a beautiful chocolate marble brown spayed French lop girl. Look how pretty and fancy I am! I’m also very soft and squishy and I love attention. I'm named after a Disney Princess because, well.... I deserve to be pampered and worshipped! I like playing with all my toys too. I really want to be your special bunny and I would make a such a great friend!